The latest generation Mini hatchbacks have now arrived in showrooms in the UK, which marks a good moment to look back at the highs and lows of the outgoing model. The second generation of the modern, BMW-built Mini spawned a surprising variety of derivatives – including the Mini Convertible, Coupé, Roadster, Clubman and Clubvan. But even sticking with the simple hatchback format, there’s quite a range of options on offer from used car dealers, many of which will make great second-hand buys. Though prices tend to hold firm, so don’t expect a real bargain. All Mini hatchbacks share similar traits. The interior is cramped but classy, with top-notch materials and a reassuring feeling of solidity. The retro interior styling is a little heavy handed, and the obsessively circular theme – extending to the blobby keyfob that you have to slot into the dashboard to start the car – is not to everyone’s taste. 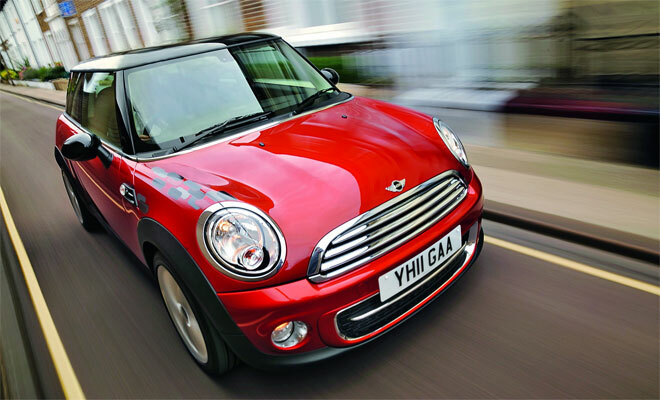 The Mini is famously agile, and infamously poor at soaking up bumps. 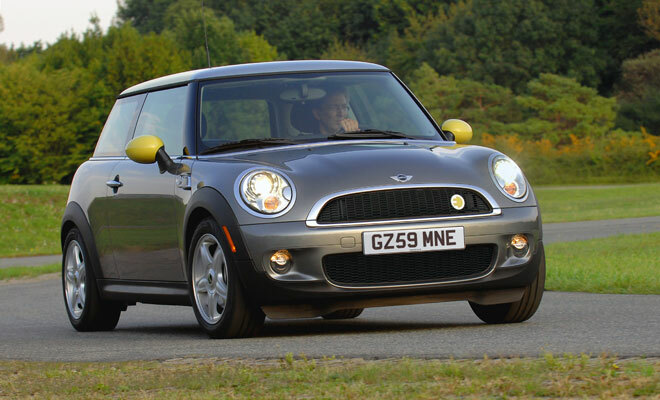 Don’t consider a Mini if you have brittle bones or suffer from migraines, as it’s not remotely quiet or refined. Visibility, however, is fabulous, courtesy of what must be the most upright and slim-pillared windscreen of its era. Below are some of the more memorable models from the 2nd-generation line – good, bad and ugly. One thousand “Inspired by Goodwood” Minis were built and offered for sale from June 2011 at a staggering £41,000 apiece. About 200 appear to have reached UK roads, mostly with automatic rather than manual gearboxes. The exterior features Rolls-Royce black paint, and the interior is whirl of leather, walnut, cashmere and lambswool. Fortunately the Goodwood Mini lacks a Rolls-Royce’s thirst, with the standard Cooper S engine bringing an official score of 48.7mpg for the six-speed manual, or 44.1mpg for the automatic. Arriving at 62mph will take around seven seconds in either car, though hurrying seems a little unseemly. Similarly, the vulgar bonnet scoop seen on other Cooper S cars is notable by its absence. Today, expect to pay around £25,000. Most second-generation Minis employ a range of techniques to reduce unnecessary fuel use. Under an umbrella term dubbed “Minimalism” you’ll find features like automatic engine stop-start, a shift indicator to hint at which gear might be most economical, and regenerative battery charging, in which the alternator is decoupled, removing its load from the engine, unless the car is slowing down. 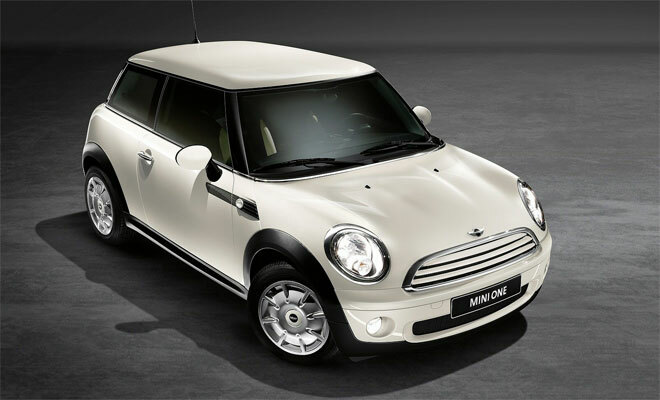 In 2010 Mini launched a special Mini hatchback that employed the full roster of fuel-saving measures, called Mini One Minimalist. With a 1.6-litre petrol rather than diesel engine, it promised 55.4mpg and 119g/km of CO2, compared with the 52.5mpg and 127g/km offered by petrol-powered Mini First, One or Cooper models. With challenging looks courtesy of spectacularly unattractive aerodynamic wheels, which couldn’t be optioned away, the Minimalist Mini was a flop. Fewer than 170 examples found UK buyers and the model was quietly forgotten. Which is a shame as, ugly wheels aside, it was a fun and frugal little car. New, it cost £12,950. Today, expect to pay about £8,000. 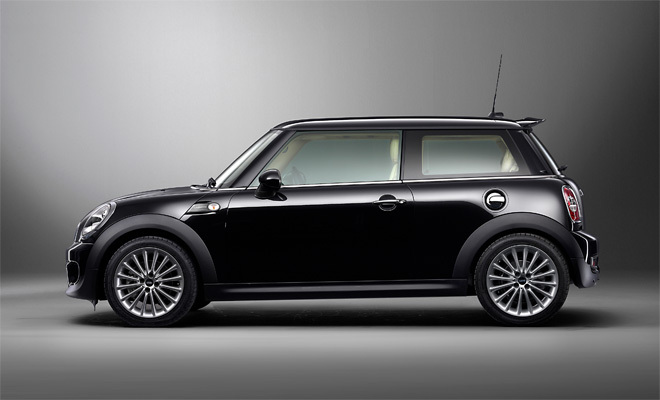 In 2008, Mini took a leaf out of Tesla’s book to create the battery powered Mini E. Featuring 5,088 laptop batteries squashed into the space where the boot and back seats might normally reside, the experimental Mini E made up for its lack of space with prodigious pace. A 200bhp motor with 220Nm of torque, peaking at zero revs, provided face-peeling acceleration from a standstill. Aggressive regenerative braking, meanwhile, snapped your face back into place the moment you lifted off the throttle. Driving the Mini E seldom involved stepping on the brake, a feature referred to as one-pedal driving. Range between recharges was about 100 miles and like all electric cars, the Mini E was uncannily quiet. Only 450 Mini Es were built, all left-hand drive and none were sold to the public. Alas, you can’t buy one second-hand. While tastes differ, for my money the best car in the outgoing Mini hatch range is the Cooper SD, launched in 2011. With a hefty 2.0 litre turbodiesel under the bonnet, it can hurtle to 62mph in a mere 8.1 seconds, but still possesses the modesty required to score 55.4mpg in its combined cycle exams, and not far off that consumption in the real world. CO2 emissions are rated at 114gkm. Avoid the dozy automatic gearbox, however, as it ruins the economy, dropping down by a huge margin to 40.9mpg. 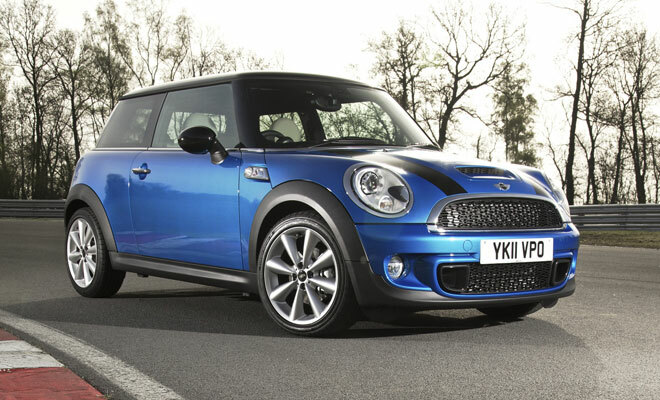 New, the outgoing Cooper SD hatchback cost from £18,870. Today, a budget of £14,000 should land a 2011 car in good condition.